140 years of history and famous guests gave us inspiration for an anniversary brochure for this landmark venue. 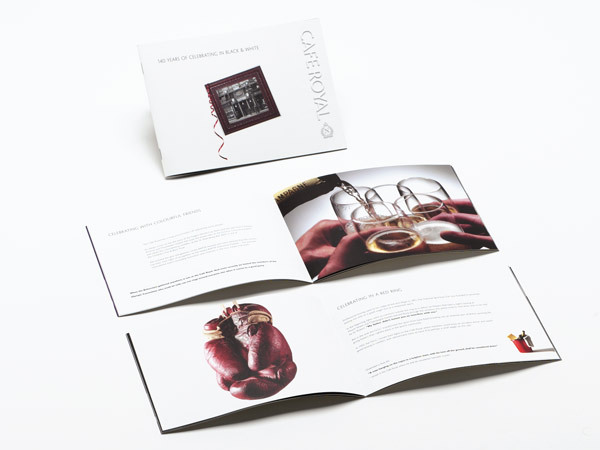 To create a 140th year anniversary brochure. People and companies requiring a venue with a choice of rooms for weddings, conferences or social events. They want character but not if it means sacrificing efficient service and modern standards. This venue has had an incredible history with famous visitors, clients and events. I’d love to come here. Cafe Royal – one of the most famous venues in London.